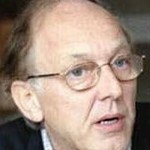 Prof. Chossudovsky gives his perspective on America’s war on Libya, its willingness to use nuclear weapons preemptively on various nations, its aggressive stance toward Iran which could lead to another war in the name of oil, and how multiple Mideast wars could ignite a larger nuclear conflict involving major world powers. Read Prof. Chossudovsky and Finian Cunningham’s March 2012 article War Plan Iran: Dispelling the Lies, Telling the Truth about Western Aggression in the Persian Gulf. Also read his December 2011 article Preparing to Attack Iran with Nuclear Weapons: “No Option can be taken off the Table.”. Don’t miss hearing this vitally important program. This entry was posted on Friday, March 2nd, 2012 at 12:00 am	and is filed under Uncategorized. You can follow any responses to this entry through the RSS 2.0 feed. Both comments and pings are currently closed.